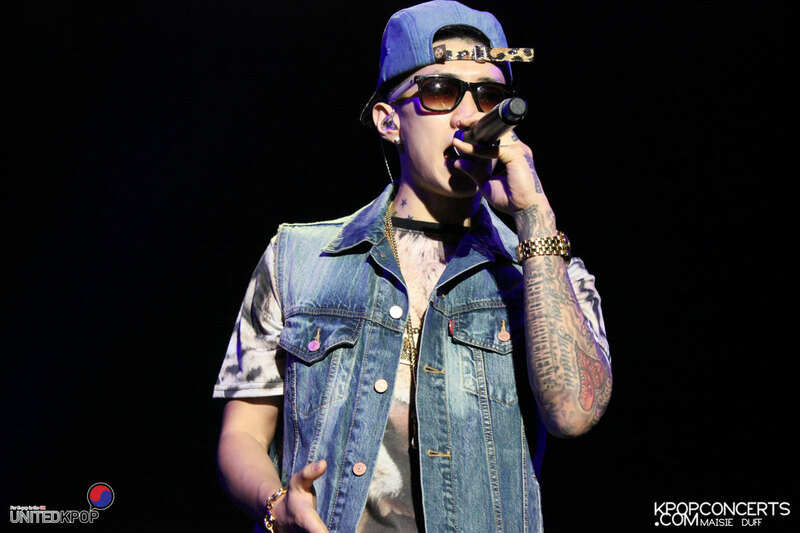 Jay Park’s European Tour kicked off to a cracking start at the Hammersmith Apollo in London on Saturday 21st of September. 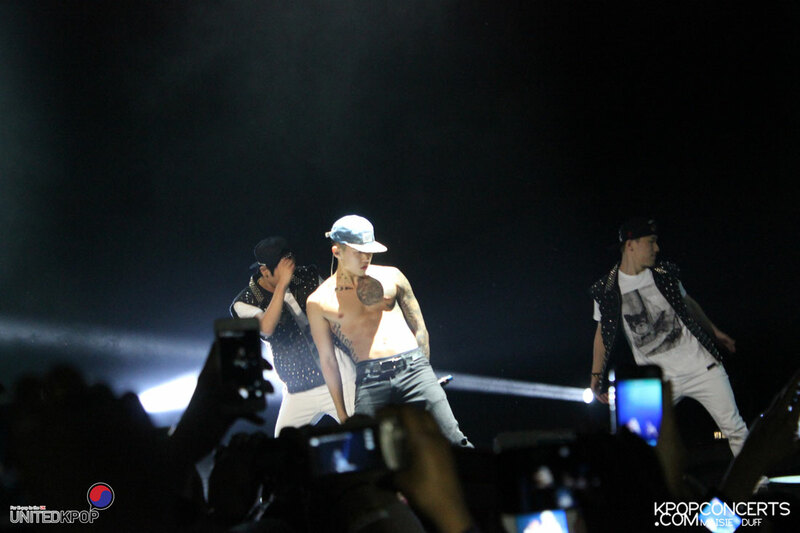 Despite the massive venue, several thousand fans poured in to the venue all eager to see Jay Park. And despite Jay’s dashing good looks and impressive abs, the audience wasn’t girls only with plenty a guy in sight waiting for the show to begin. The show opened at 8PM with a set from the tour’s support act, and everyone’s newest love, VICTOR. VICTOR wowed the audience with their Jang Woo Hyuk-esque popping dance skills and catchy songs, sending one of their tracks to the top of the K-pop chart on the UK iTunes. They performed their tracks ‘Candy’, ‘Mr Right’ and ‘Ring’ along with solo and unit performances from the members. Being a singer and model in Thailand prior to VICTOR, member Bie performed his Thai song ‘Hands Up’ for the screaming crowd. Although most of the crowd hadn’t heard his song before, they were definitely excited to hear it for the first time and joined in with singing along, and of course as the title of the song would suggest, putting their hands up. Gyum then flaunted his fluid rap skills, twins In and Choo then impressed with a duo dance performance, and the group came together for a final performance of ‘Ride’. After rounding up their performance, a break was announced before Jay’s performance was to begin. Then Jay performed his not too old ‘Joah’, followed by ‘I Got Your Back’, ‘Star’ and ‘Lets Make Up’ which were still his more slow R&B songs, letting him show off his impressive vocals (despite being ill and drinking water bottle after water bottle) and ofcourse if you know Jay Park then you know he’s also a great dancer, making the crowd go wild with his body rolls! Jay then did a little acapella of ‘Turn Off Your Phone’ and ‘Secret’, just him and his voice, again showing that he indeed can sing! This was then followed by his popular ‘Know Your Name’, and ‘BODY2BODY’, the crowd still having the same amount of energy it did as when the concert started. And as if the crowd couldn’t get any wilder, Jay then proceeded to taking off his shirt and performing his last two songs of the night ‘I Like To Party’ and ‘Hot’. Both songs very upbeat, making the crowd jump and party, which was a perfect ending to the night. Hopefully Jay can come back again, like he said many times during the concert himself, so he can put on another great show! Maybe for longer this time, when he’s not ill. Get well soon, Jay! The concert was then followed by the after party held at a club in Vauxhall by PlayKrown, the club was packed in next to no time, and by Meet and Greet time the club was jumping! 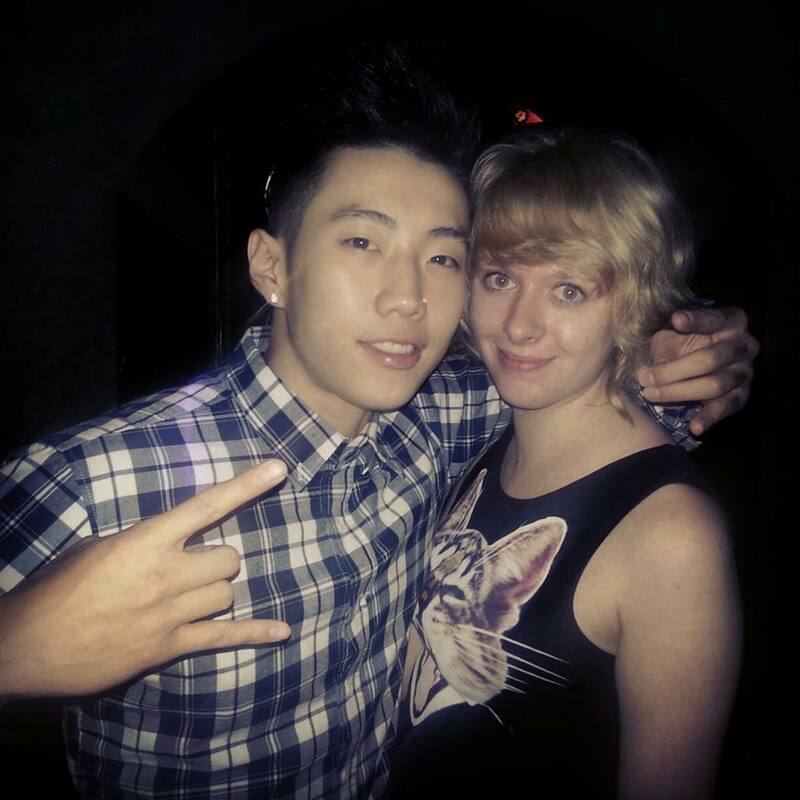 Jay Park entered through the back exit about an hour into partying to greet the contest winners. As you all know, we held our own giveaway for tickets to the meet and greet, and initially the winners were Bethany and Shannice, but unfortunately as Shannice was under 18 she couldn’t attend the event at the club, but fortunately we had a word with Jay and she got to meet him before the concert! This meant that the second meet and greet ticket then went to third place winner Amanda. 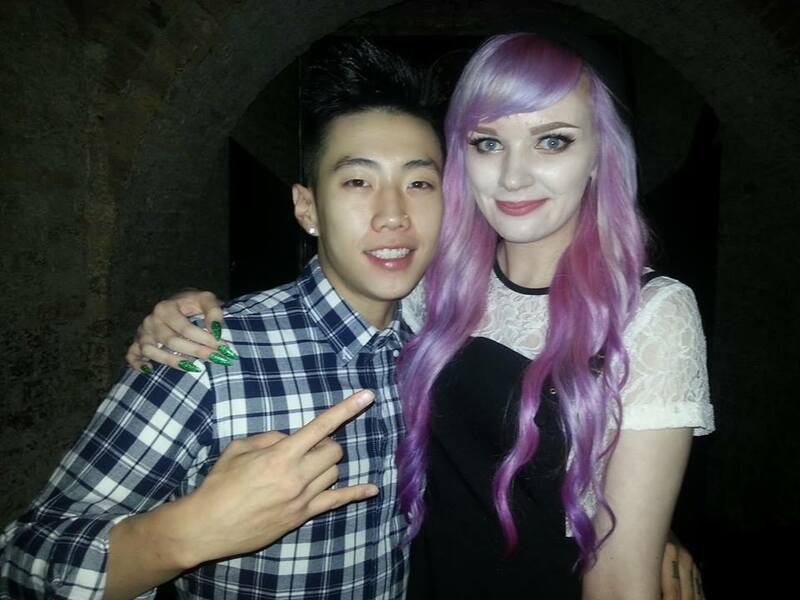 Below are pictures of Bethany (left) and Amanda (right) looking great with Jay Park in the VIP area! Stay tuned for more footage from the press conference from both Jay Park and VICTOR, and maybe a little extra!